Open Houses: Sat 11/10 & Sun 11/11, 1-4 PM. Step into this beautiful townhouse and find your respite from the world outside. 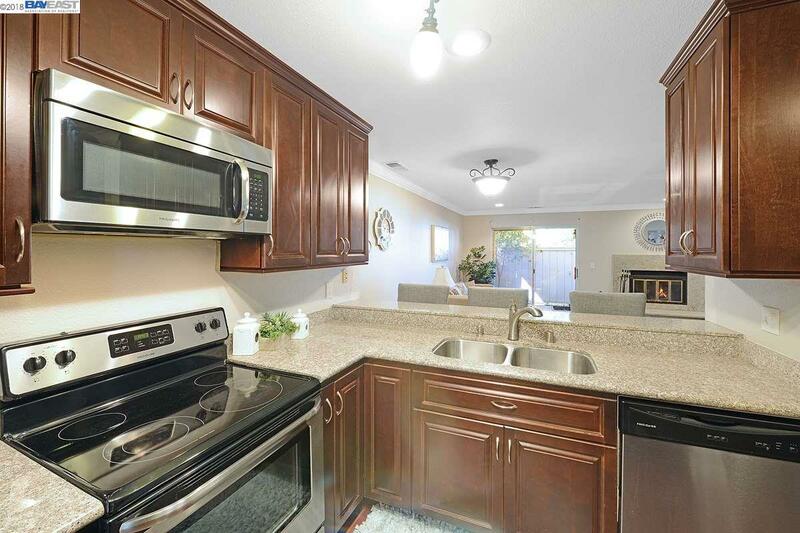 Located in the desirable Brookfield Community, this gem has all of the upgrades of new paint, a cozy gas fireplace, open kitchen with granite counter-tops and stainless appliances throughout. The beautiful master bedroom has access to a spacious balcony for your morning coffee or afternoon teas, and the adjacent second bedroom is set up for comfort and privacy. Plus, an in-unit washer and dryer, and a one-car garage with ample storage for all of your needs. You won't find a better location with access to a sparkling swimming pool, Oakhill Park across the street, and award-winning schools within walking distance. Not to mention being minutes from historic downtown Pleasanton, Bart and freeway access. Your beautiful Pleasanton home oasis awaits you. Don't let this one pass you by!